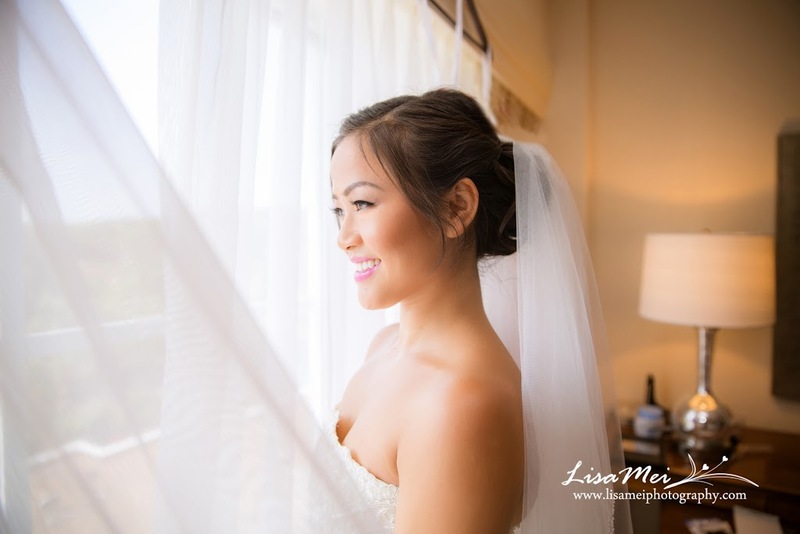 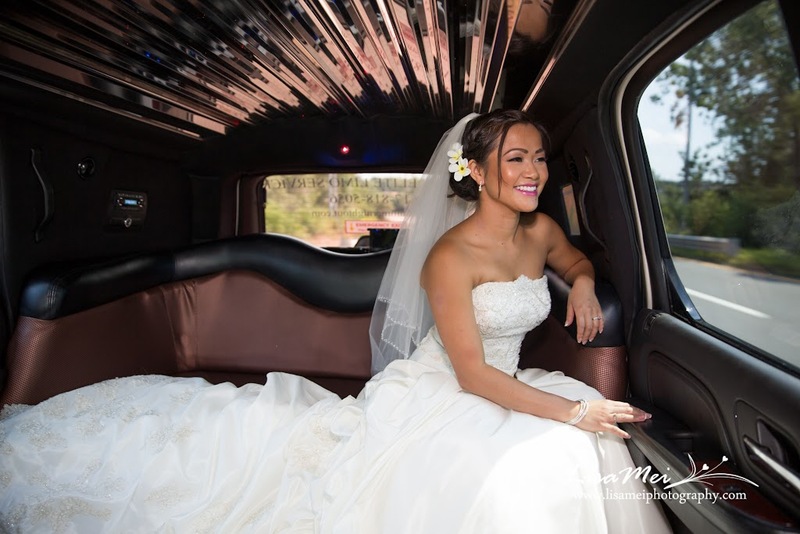 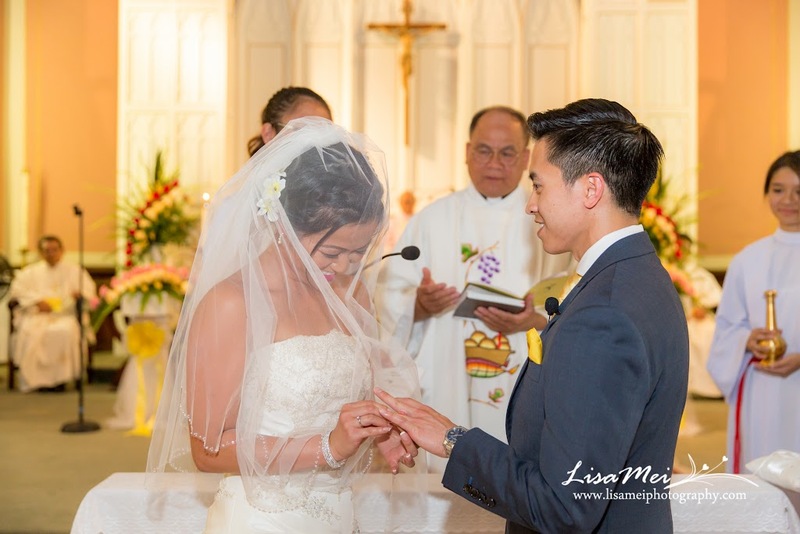 Kimmy and Huy married! 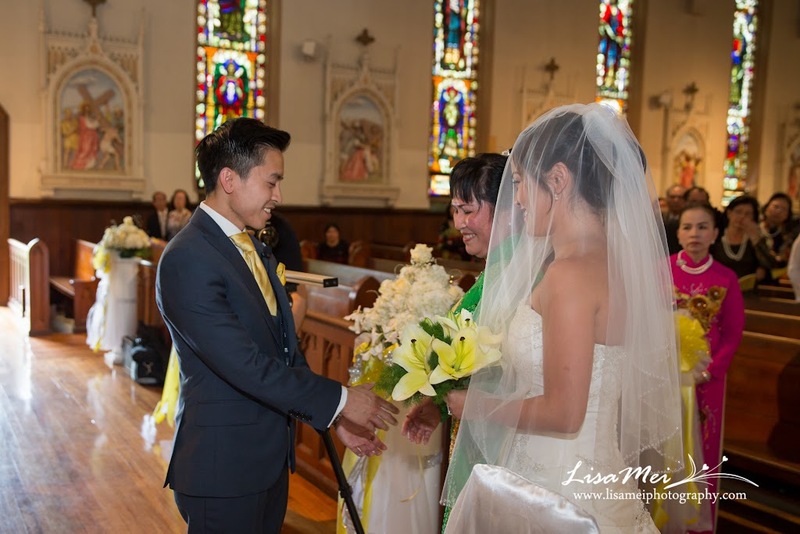 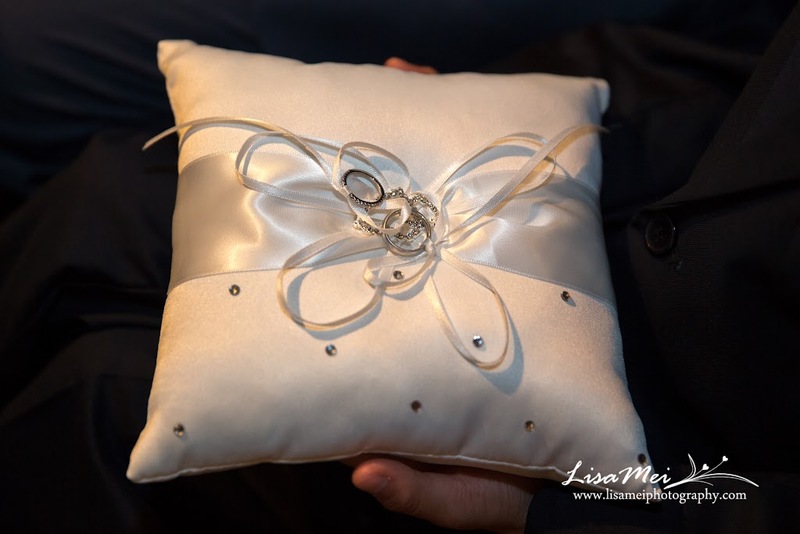 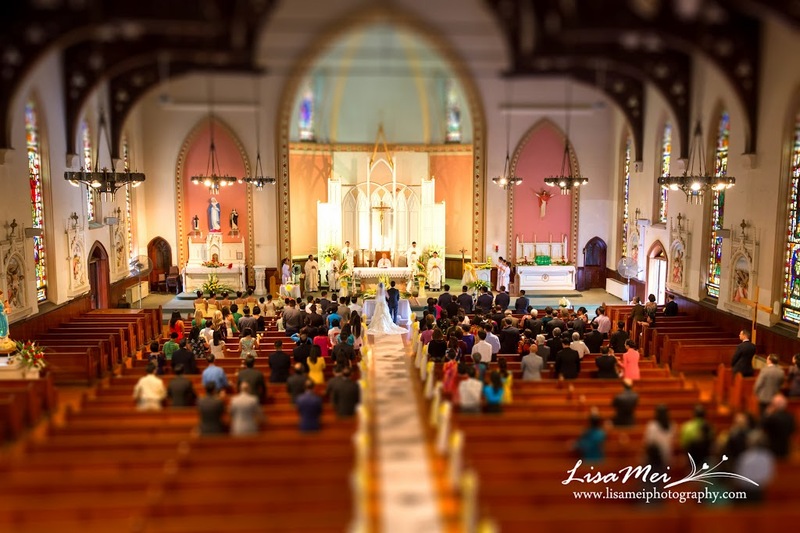 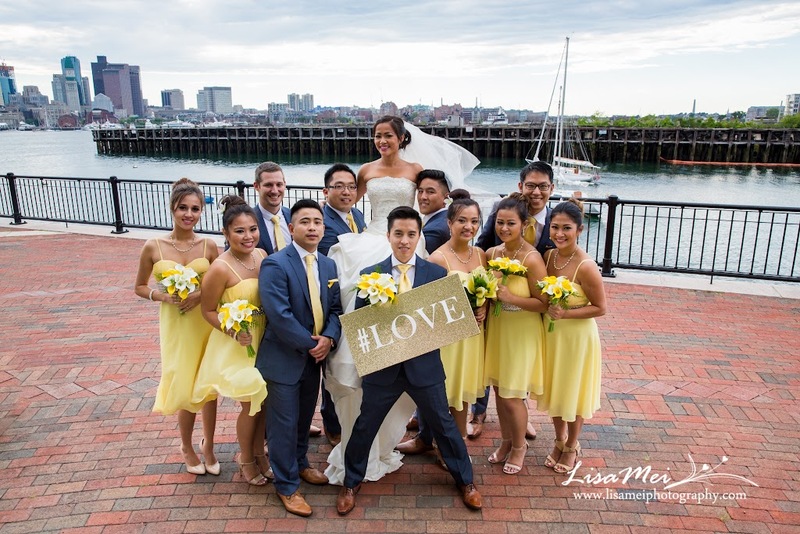 Their two days celebration started with the church ceremony at Saint Rose of Lima at Chelsea, MA and then followed by an incredible fun photo shoot with the bridal party at Piers Park, East Boston. 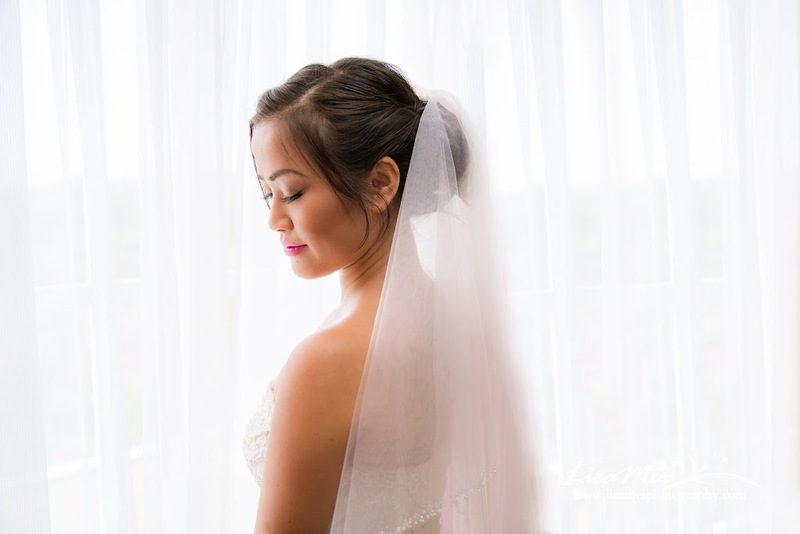 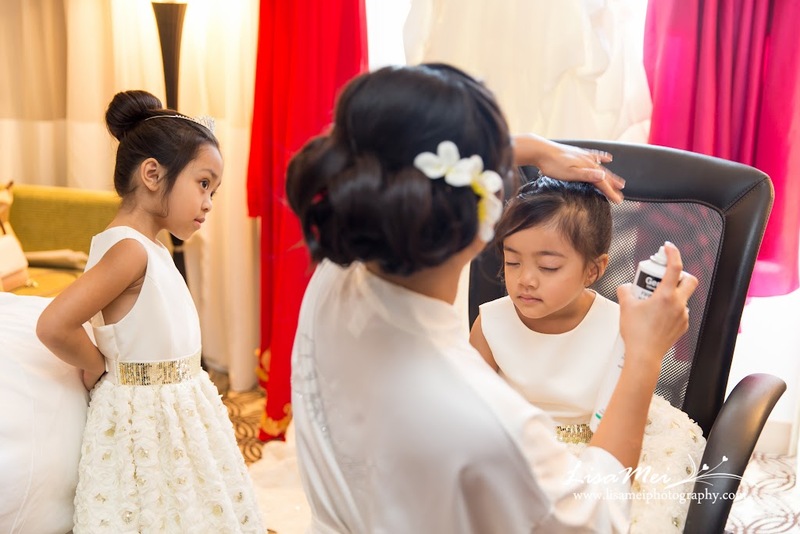 When I arrived at the Marriott Quincy for Kimmy’s “getting ready” pics, she was already have her hair and make-up done and instead she was doing her flower girls’ hair and make-up! 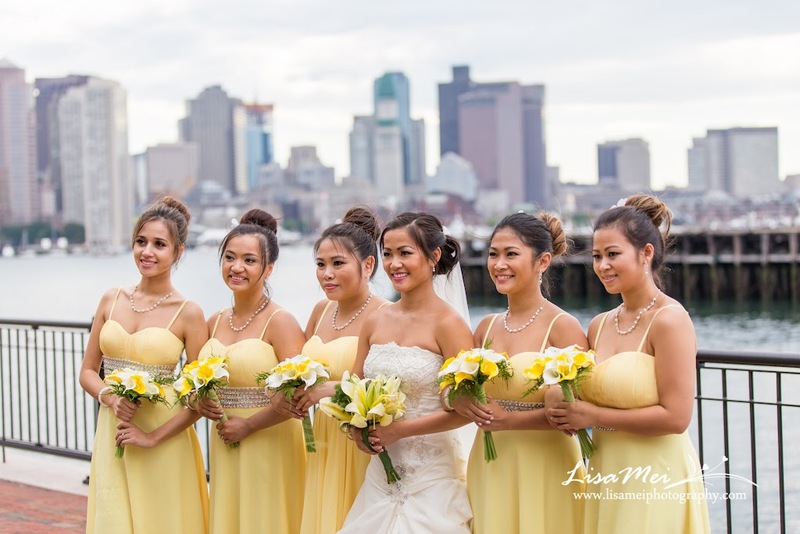 Love their hair buns, good job Kimmy! 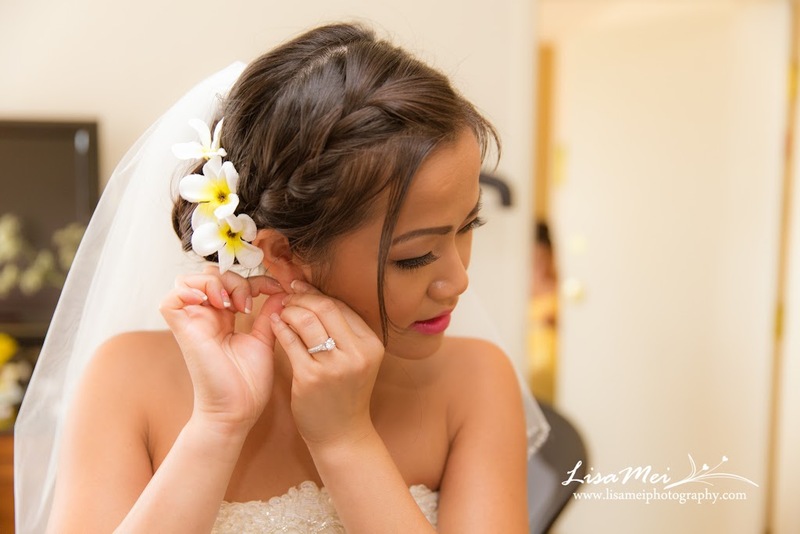 Kimmy looked absolutely gorgeous on her wedding gown and lightly accessorized by earrings and yellow flowers on her hair; simply pretty! 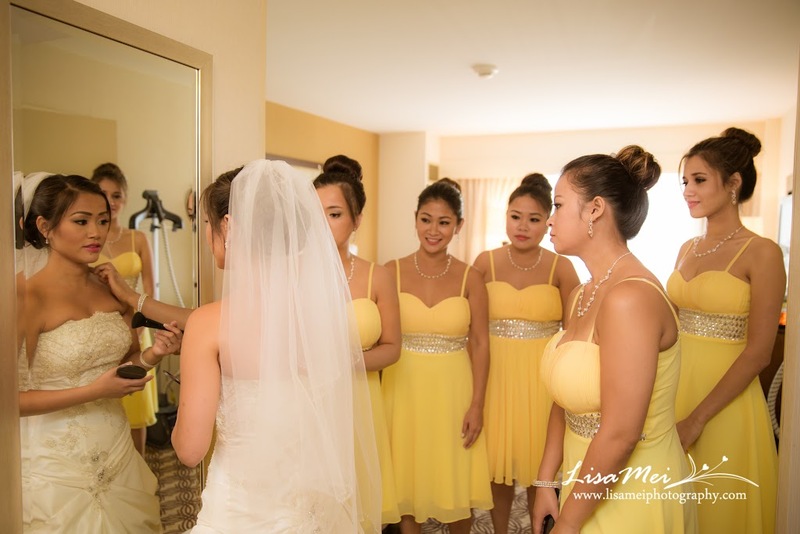 Kimmy picked yellow as her wedding color and it fit perfectly with summer. 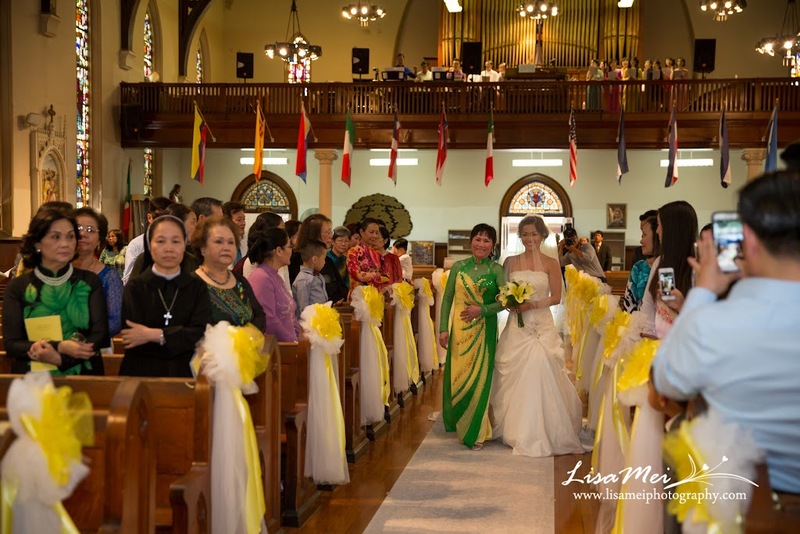 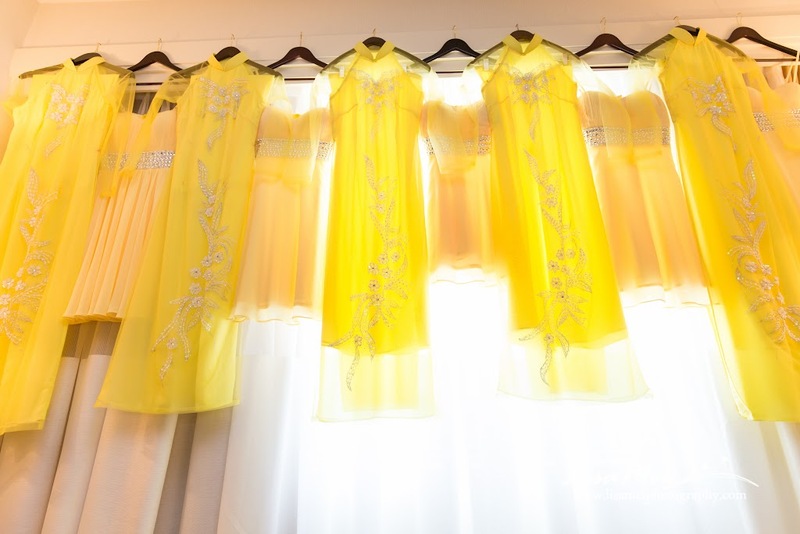 The yellow night gowns and the traditional Vietnamese dresses were so beautiful! 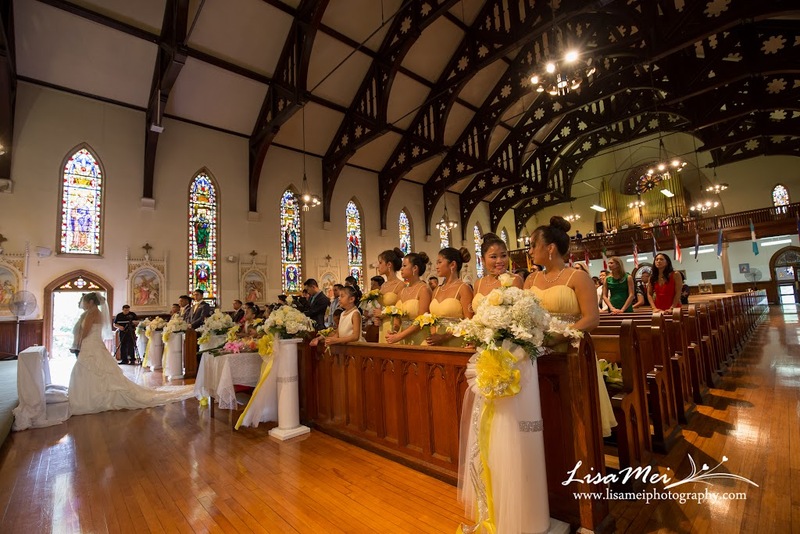 Saint Rose of Lima is a beautiful church filled with colorful stained glasses and decorated with yellow flowers. 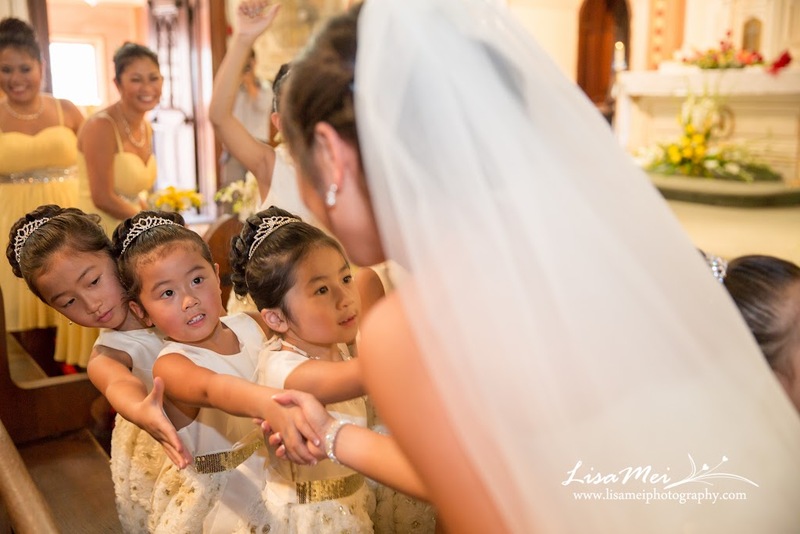 They have a total of eight flower girls all from their family wow they were so cute with their dresses and hair buns! 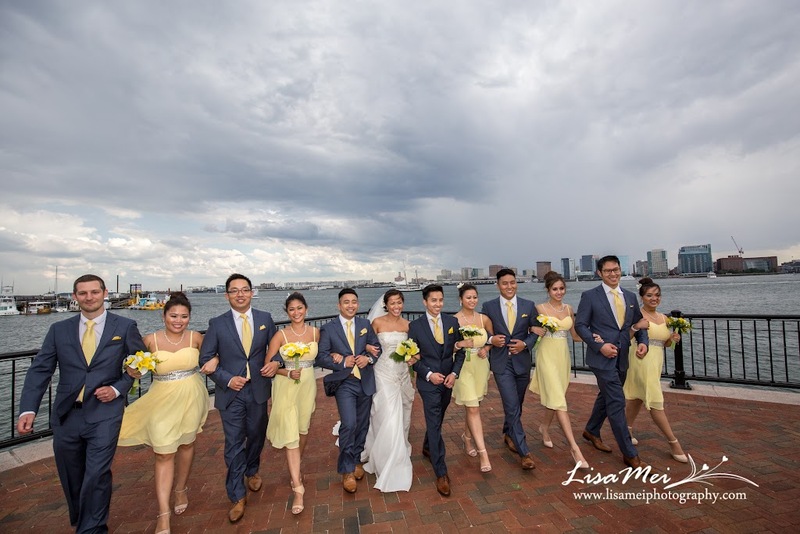 After the church ceremony, we headed to Piers Park…..it was sunny and blue sky when we left the church but by the time we reached the park, it was gloomy and windy! 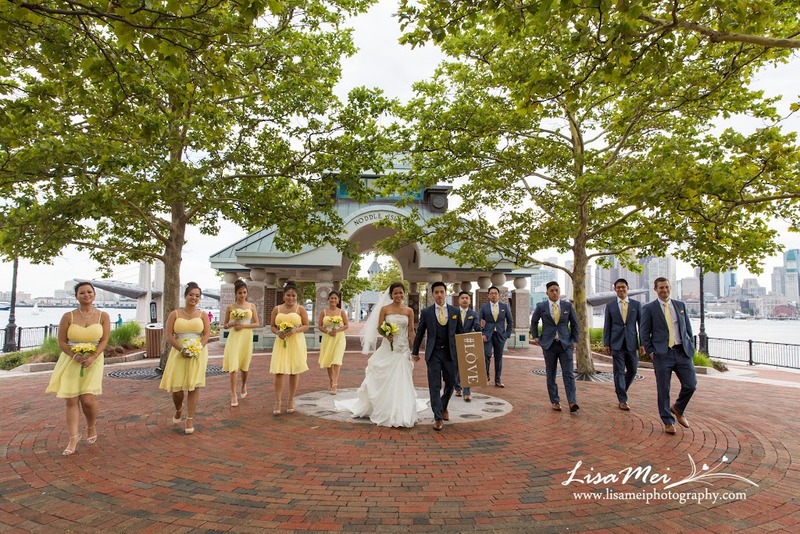 The weather was so crazy that we literally could see the blue sky to the left of us and yet it started to rain at the park! 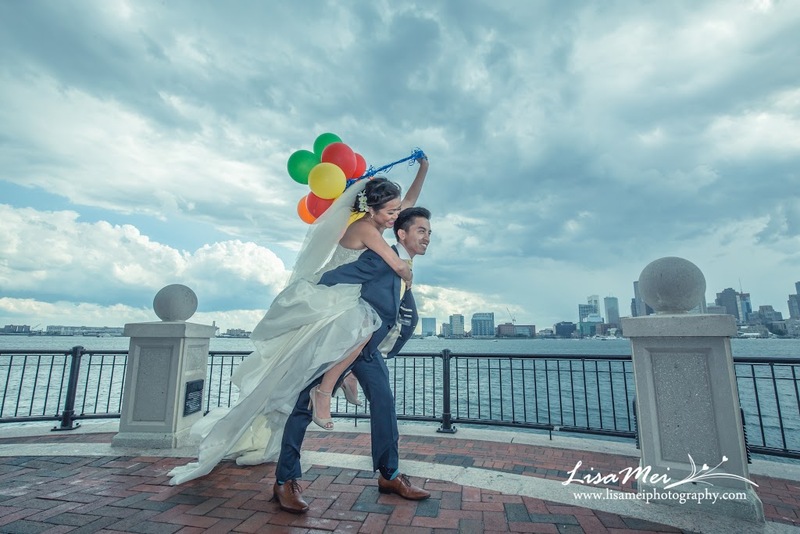 Kimmy and Huy seem to attract the rain lol, when we did their engagement/pre-wedding at Newport, RI, it ended up raining too! 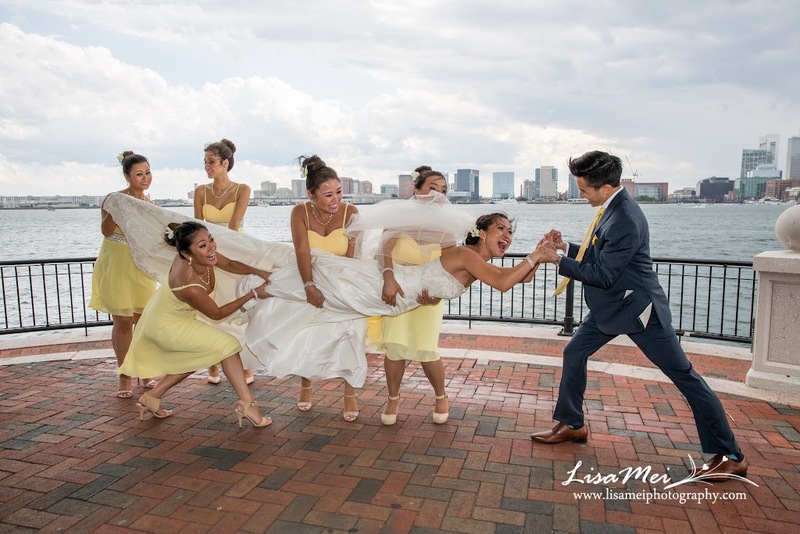 Regardless of the rain, we had some fun pics with the passing storm. 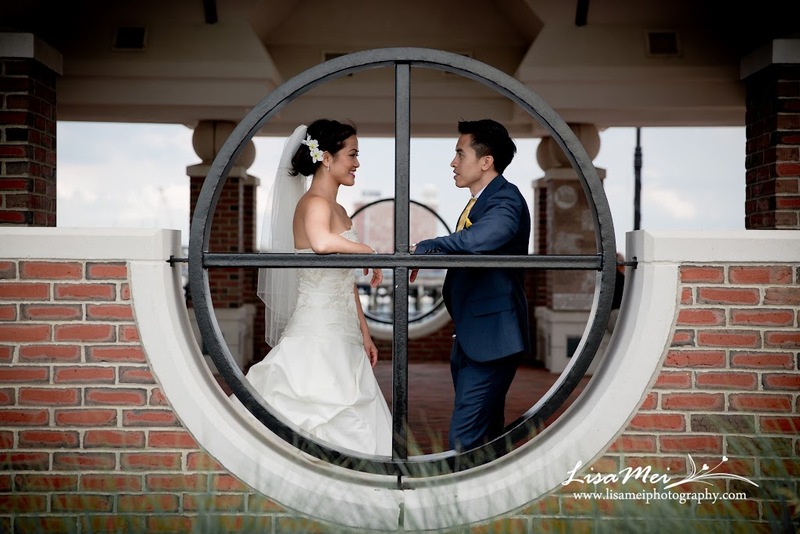 Luckily, it stopped raining! 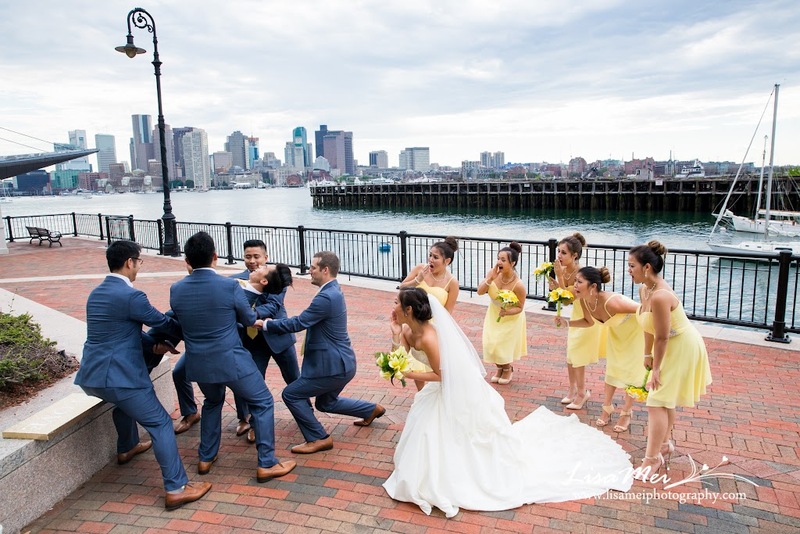 Piers Park is very popular spot for wedding photos; few groups were there but the summery yellow dresses stand out the most! 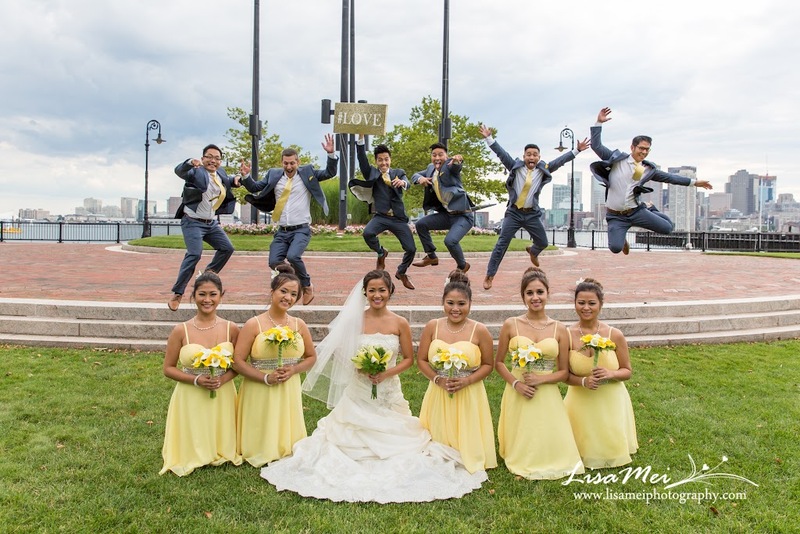 Kimmy and Huy’s bridal parties were so fun to photograph; that jump up and catch the bouquet photo, they tried so many times to synchronized the jump haha! 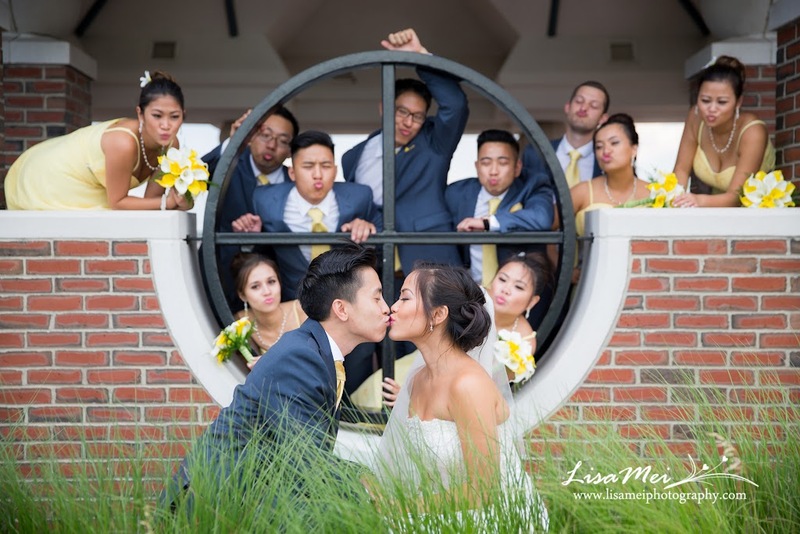 It was a long day but they were still energetic and one more day to go!